Personal essay writing is one of the first assignments every student has to write in school. An example is to write something about your summer vacation. Exciting, isn’t it? It is also one of the easiest forms of writings so, there’s nothing to worry about. It is just like writing about who you are. Usually, a personal essay is one of the requirements in college admissions. 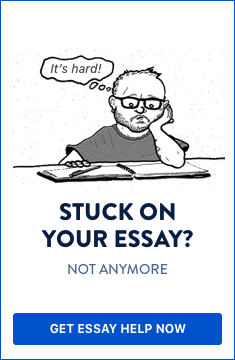 So, don’t waste your time any more, start practicing your personal essay now. But for those who have some difficulties and do not know how to write a personal essay, there are a few tips below. 1. When writing a personal essay, the descriptions and tenses must be consistent, using an active voice. An example of an active voice is “I made a mistake” rather than saying “A mistake was made”. 2. As the rule of thumb: don’t tell, show! So when describing, don’t just simply explain what happened. Instead, make use of your senses to arouse your readers’ imagination. 3. Since personal essay is something like “personal”, then it must also be written using the first person, which means you only speak for yourself. 4. A personal essay doesn’t always have to be written in the present tense. When you are telling about something that incurred in the past, or when you are telling about how something affected how you feel at present, then your essay can also be written in the past indefinite tense. 5. For an essay to be effective, focus on using a positive language instead of the negative. Rather than saying “Don’t forget to bring your books”, say “Remember your books”. 6. A personal essay must be full of feelings. To evoke your readers’ emotions, you must write from your heart for them to feel that you are passionate about it. The main point is to show how you feel so that your readers can relate to what you are writing. 7. Your introduction must hook your readers. Start with an interesting sentence that will directly provide impact to your audience and will make them read more. Include your thesis statement which serves as the main point of what to expect in your essay. 8. The body of the essay should be more than one paragraph, depending on its length. And each paragraph should tackle the points you have raised in your introduction. Making an outline prior to this will help you a lot. 9. End your essay by summarizing your points, giving insights, and stating your final opinion in the conclusion. And remember to proofread and edit your work. The main point on how to write a personal essay is to provide a personal story, either something from your past or at present. It is all about telling your personal experiences. When you are applying for college or graduate school, then your personal essay must be something like writing about the experiences that made you decide to pursue a certain field of study. It is a way of getting a snapshot of your grammar, voice, and overall composition.